Over the years I've had opportunities to work with some amazing groups that I think you should know about! In the summer of 2015 I did a 95-hour teacher training through One Yoga and their Vinyasa Yoga For Youth Program. It's an amazing non-profit that strives to work within communities to bring yoga to youth, and especially youth at risk. From their website: "At Vinyasa Yoga for Youth our vision is to empower youth locally and globally in a fun and engaging way, so that they will become reconnected, make healthier life choices, and have an enhanced capacity for compassion. We believe in the power of yoga and that peace begins with children." If you think you know of any youth in Saskatoon or Vancouver that would benefit from Yoga, contact them to see what can happen! Learn more about VYFY here. In 2010, my good friend Megan and I joined this group of individuals for a medical brigade to Honduras. We spent a week in the country providing care to different rural areas that rarely get to see a doctor. We had an amazing team of students, nurses, doctors and volunteers that were able to see hundreds of patients in the short time we were there. It was an inspiring introduction into global health. Learn more about GMB here. 2014 offered me another chance to travel and provide medical care to underserved people. 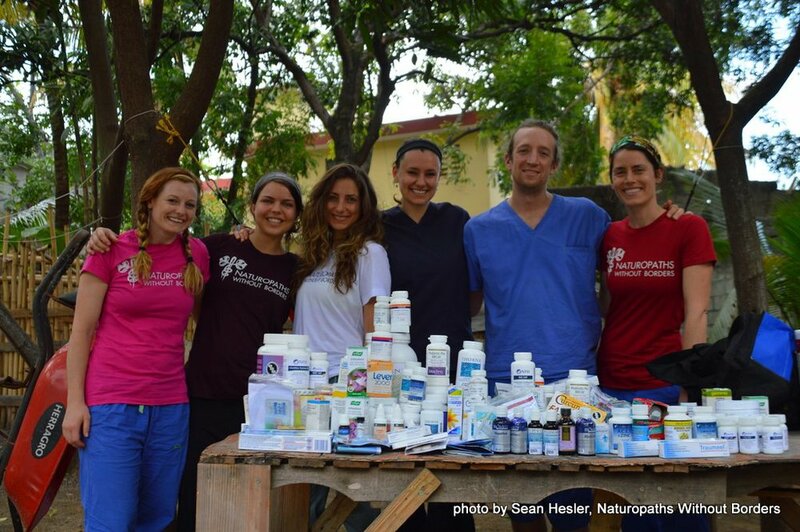 Myself and 5 classmates joined a team from Southwest School of Naturopathic Medicine in Haiti to volunteer with NWB. We worked with Dr. Sean Hesler to provide naturopathic medical care to Cap-Haïtien and the surrounding areas. 4 days in clinic plus another meeting and learning about different NGO's and NPO's in the are made this a fantastic experience. Learn more about NWB here. Although I haven't been fortunate enough to head down to Nicaragua and spend time with NDI, I'm hoping to do so in the future. Many of my colleagues have spent a week with Dr. Tabitha Parker in Ometepe and I have heard nothing but incredible things. This is the oldest and one of the most established naturopathic global health initiatives in North America. The Plantrician Project is a 501c3 tax exempt, not-for-profit corporation. A galvanizing force designed to reach physicians and healthcare professionals, both here and abroad, with a multi-faceted initiative that educates, equips and empowers them and their patients and clients, paving the way for a shift to a plant-based lifestyle.